Provide a quality lifestyle to our Service Providers through delivering an exceptional experience to our Guests. We know that true beauty never goes out of style. We use a time-tested formula behind the beauty, high-end education and training plus a vibrant culture and beautiful facility, to provide guests a luxury experience that is second to none. Our team gives expert advice and designs around face shape and skin tone. We believe that educating our guest will help them make the decisions that are best for them. We make sure our guests are well informed on product choices and hair, scalp, and skin care. After all, healthy hair and skin is what it’s all about. 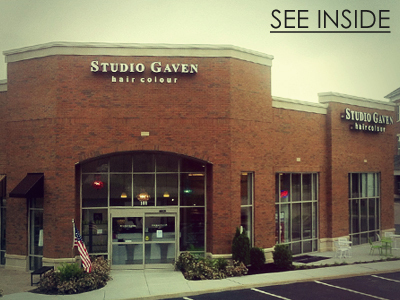 With multi-tiered pricing and nearly 30 different stylists to accommodate a wide spectrum of tastes and styles, Studio Gaven’s team-based approach allows guests to be comfortable staying with one stylist for all their services or trying different stylists for different looks.